Download the National Coalition Against Domestic Violence’s 2018 DVAM Social Media Toolkit, and get inspired to create your own campaign to end domestic violence! Show your support for survivors by wearing purple all month long. Thursday, October 18th is #PurpleThursday – use the hashtag to share your purple on social media! This year’s DVAM message is #1Thing – asking individuals to consider what #1Thing they can do to end domestic violence. While one person’s actions may seem insignificant, together a community’s collective #1Things can lead to real social transformation. Learn more here! Connect with a local domestic violence program and see how you can help. To find a program or shelter near you, visit domesticshelters.org or nhcadsv.org. 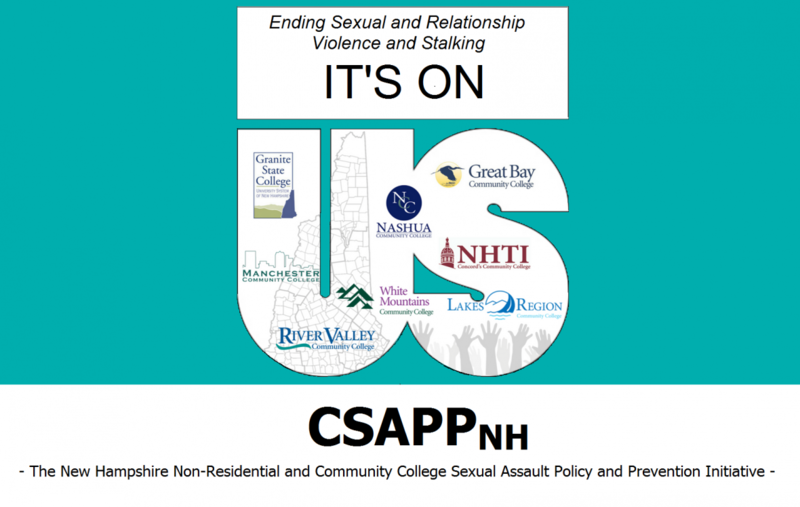 Visit our CSAPPNH Calendar for local events happening this DVAM, or visit the National DVAM Events Database to see a list of national events happening this month. You can’t pour from an empty cup, so take care of yourself first. These activities can help you to practice self-care, so you can continue to work to end domestic violence in your community. Color! Download our coloring pages and show your support for survivors. Talk to someone you know who may be experiencing domestic violence. Get help and support here. There is a lot to know about domestic violence, and educating yourself is a great way to be able to advocate and share information with others. Visit the NCADV website to learn more, and download their National Domestic Violence Fact Sheet here. #MeToo has shown us that cultural and social change is obtainable when the conversation is made accessible to all who are affected by sexual violence. This year, NCADV is highlighting #SurvivorSpeaks to empower survivors to come forward and share stories that need to be told to bring awareness to the issue of domestic violence. Learn more here. Contact your local lawmakers by calling, emailing, or sending them a letter asking them to be aware and work for change on the issue of domestic violence. To learn more about how to take action, visit the NNEDV’s Policy Center by clicking here.